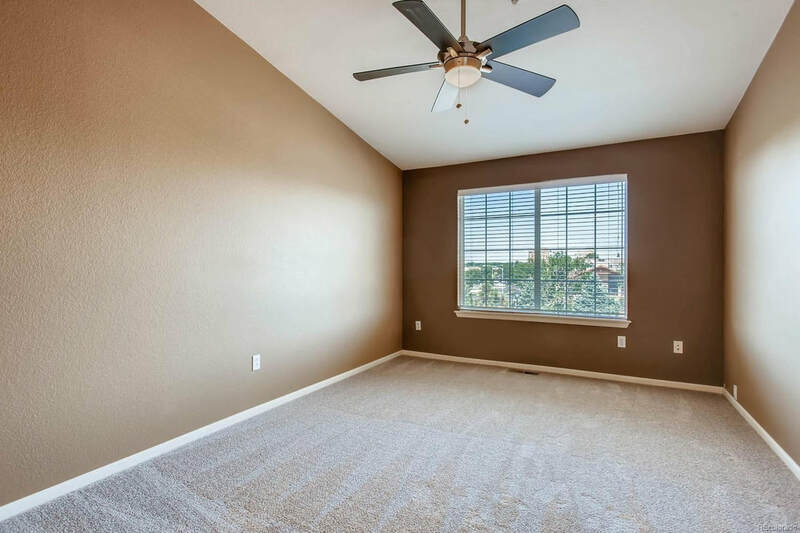 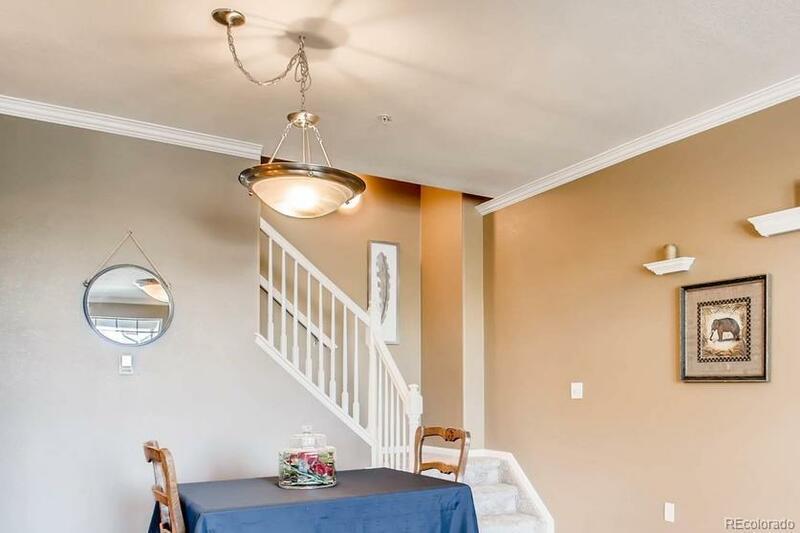 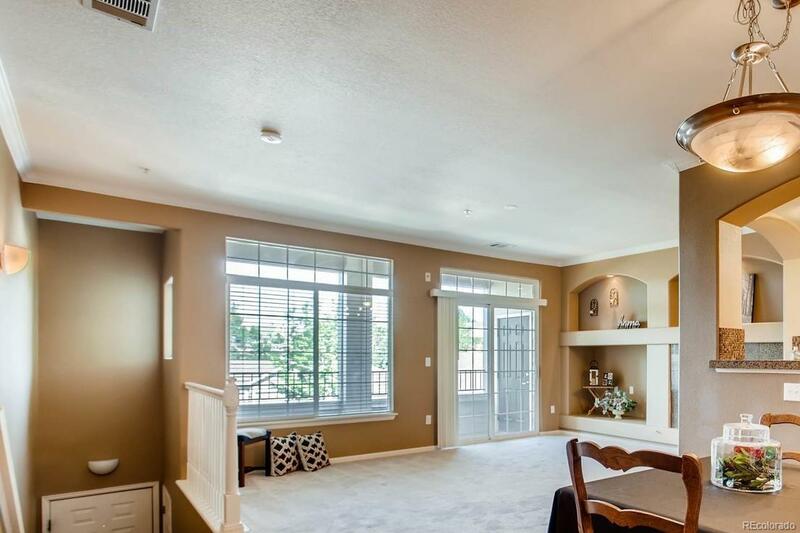 Open and filled with natural light; this home has been beautifully redesigned and lives like a townhome with no one above you. 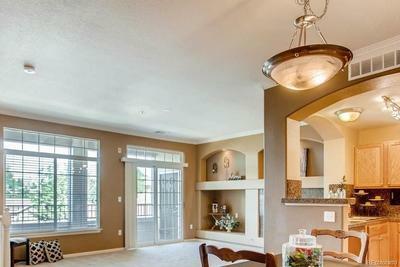 Architecturally stunning with tall ceilings finished in crown molding, distinctive arches and lavish finishes. 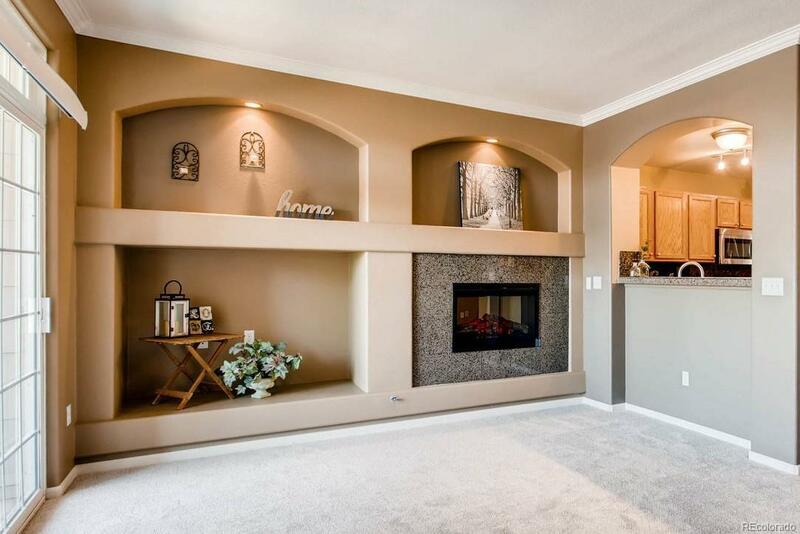 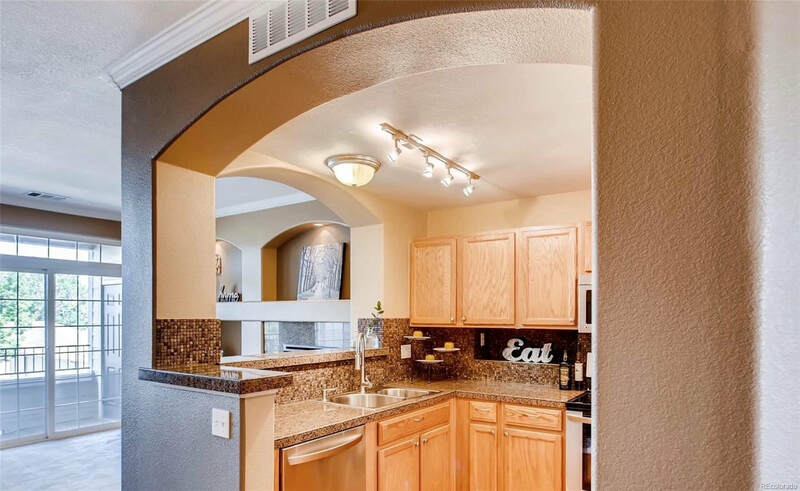 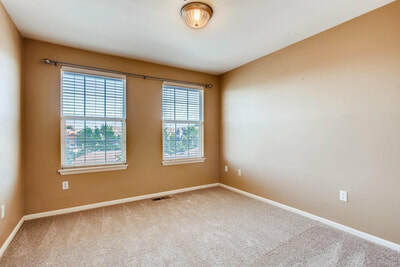 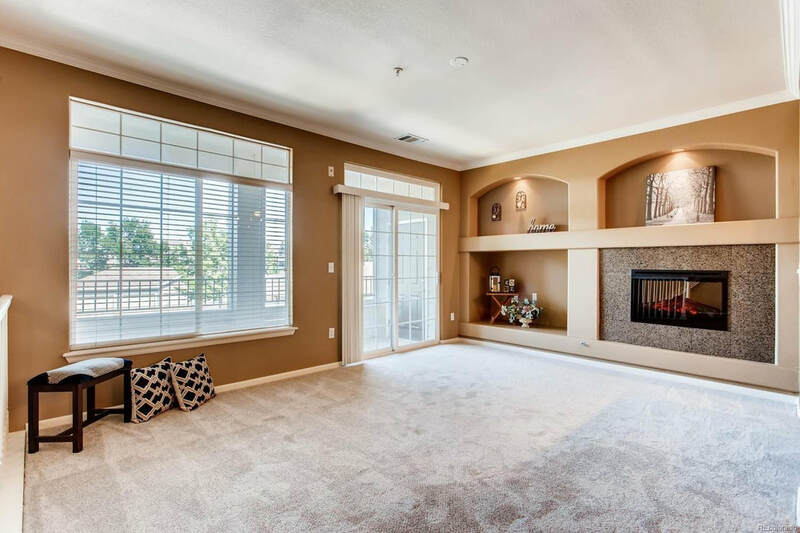 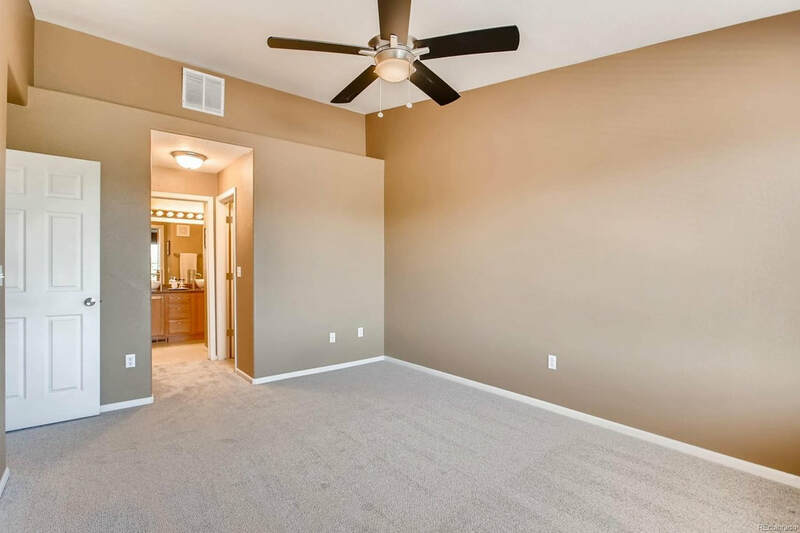 Almost everything upgraded including new green-certified carpet, new granite, lighting, stainless steel appliances, sinks, faucets, remote control electric fireplace, paint, H20 heater and more. 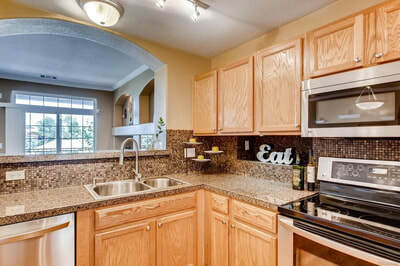 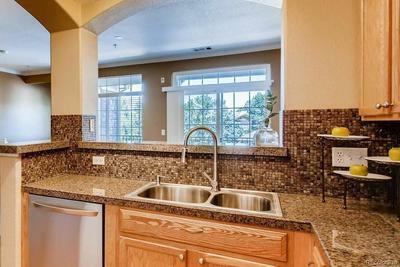 Chef's kitchen with stunning designer backsplash, pantry and breakfast bar. Enjoy the inviting dining space and light-filled family room - opening to an expansive covered terrace. 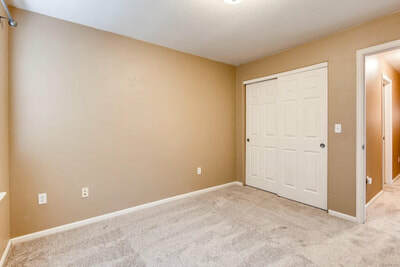 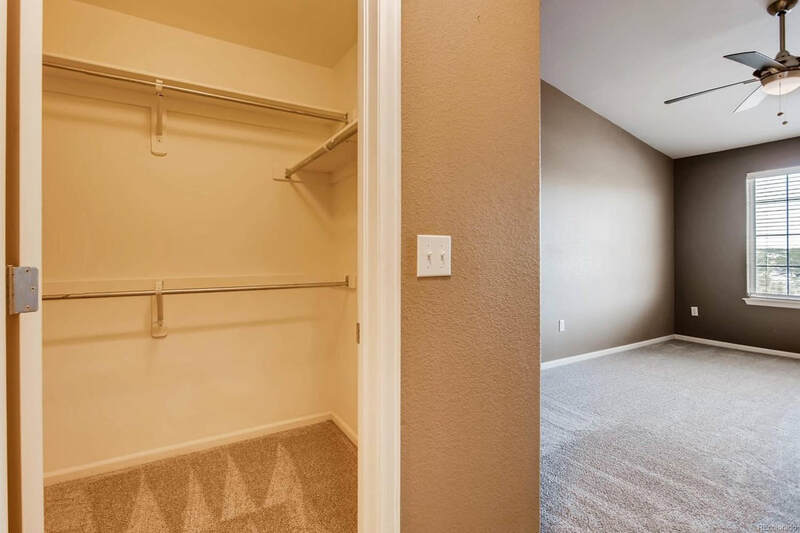 X-tra storage with large private storage closet. 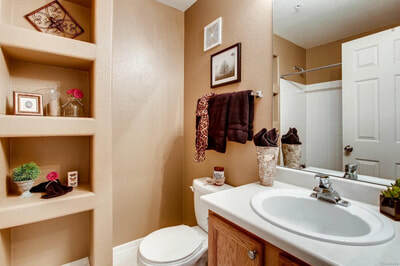 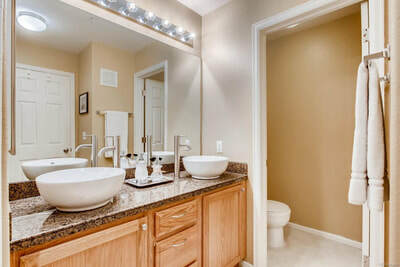 The spacious owner's suite features 2 closets (1 walk-in,) en suite bath with new granite, sinks, fixtures and faucets. 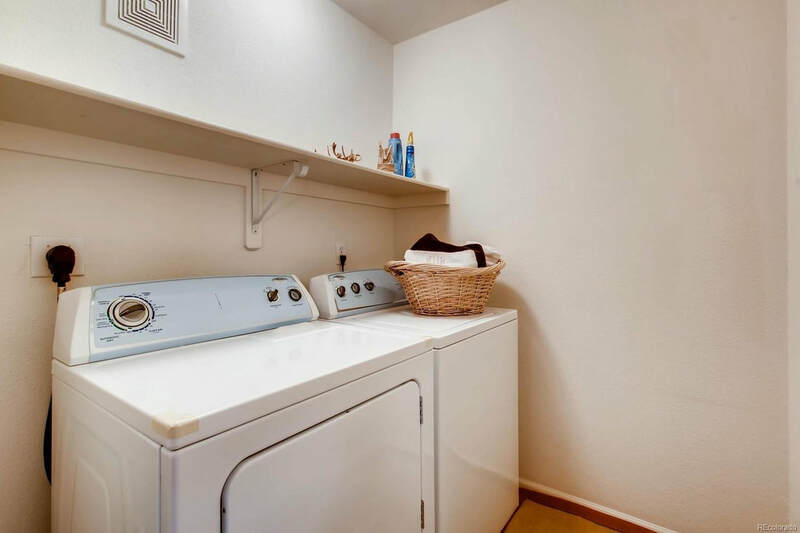 FULL laundry room on the upper level. 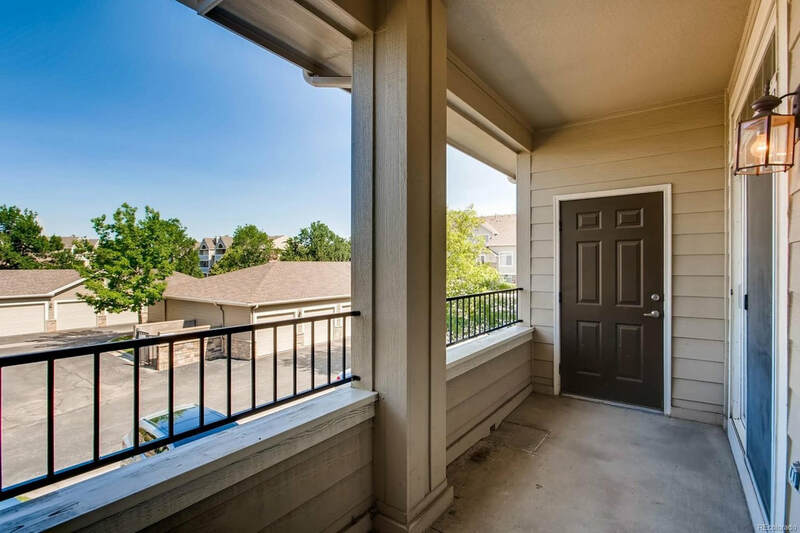 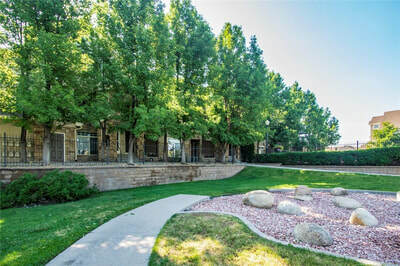 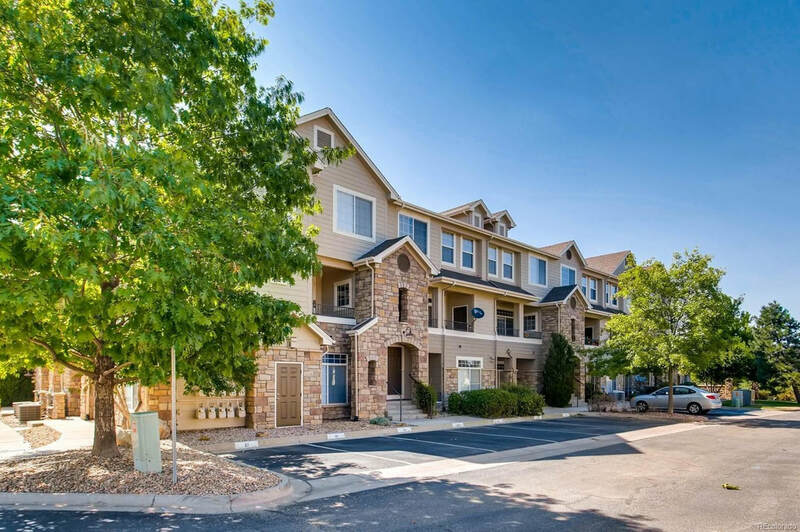 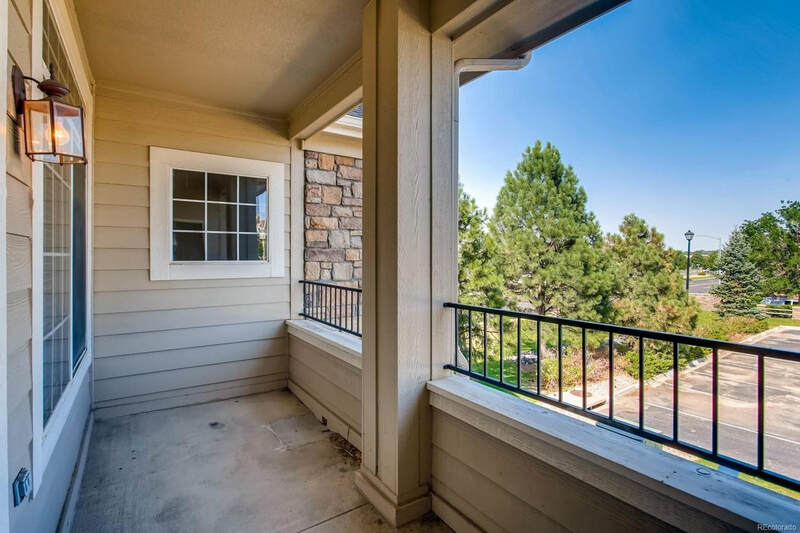 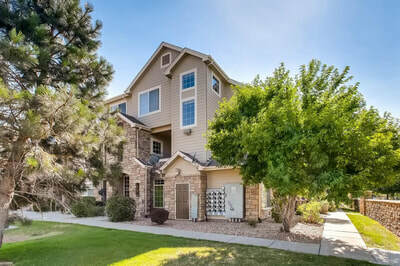 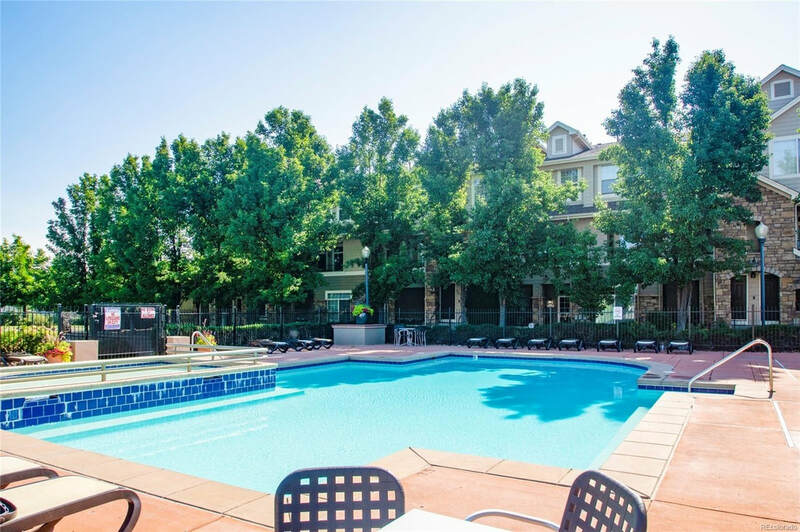 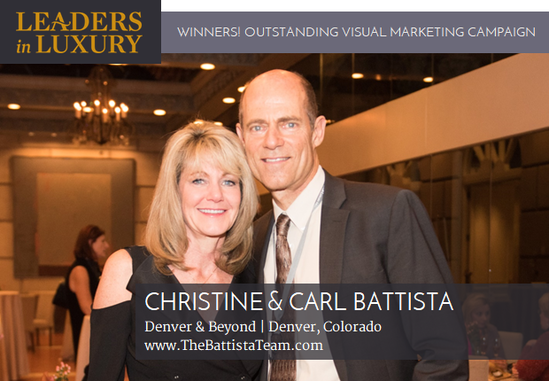 Highly sought-after community with coveted Cherry Creek schools, the Challenge school, convenient location, walkable amenities, wonderful community pool, hot tub and gathering space. 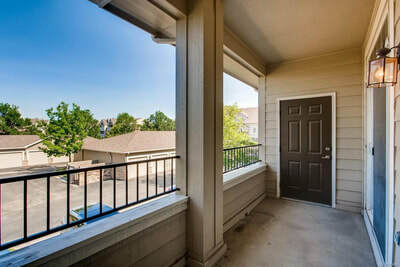 Low HOA fees and recent extensive community upgrades - siding, paint, landscaping, new pool furniture and more. 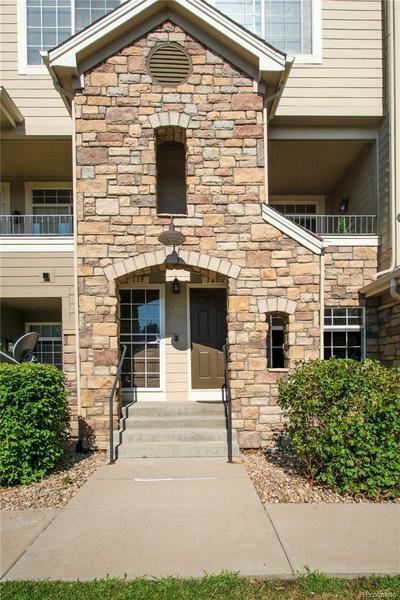 *Home won't last long given the low inventory for quality townhomes/condos, especially with great HOA fees! 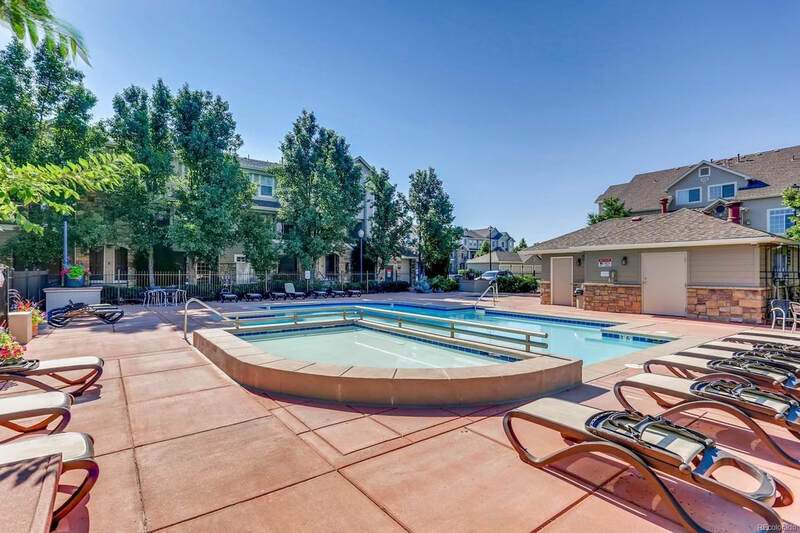 Come relax, entertain and create the memories of a lifetime. Welcome home!